Everyone has been saying it, where has this year gone?? Maybe it has something to do with the missing season. If you, like me, live on the East Coast we did not really get a Spring. Because of the everlasting winter, we jumped straight into Summer! Anyways, on to my favorites for the month. Most of them are skincare basics that I have fallen or re-fallen in love with. This month’s makeup favorites have actually kicked my Holy-Grail items out of first place! Yes, you read that correctly! That is how much I love them. I never realized how fragrant my hand creams were until I used them at the clinic. I love Aveeno as an all-purpose lotion but it does not last very long over multiple hand-washings. 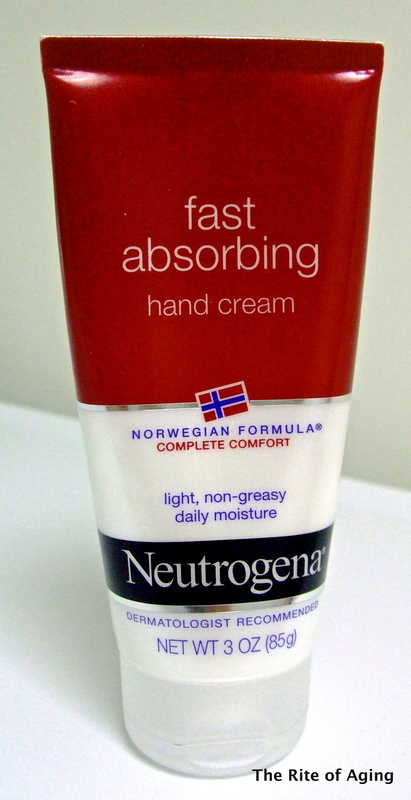 I remember years ago when the Neutrogena’s Norwegian Formula was all the rage. The original formula was dense and long-lasting. The small tube fit perfectly in scrub pockets. Unfortunately, it was too greasy and did not absorb quickly enough for work…but as I was scanning my local CVS I noticed the fast-absorbing formula and I had to try it! This lotion has no fragrance so it does not offend in a medical setting. It is light, absorbs quickly and lasts through multiple hand-washings. The tube is a little bigger than I like but it is light and does not weigh down my scrubs. Win-Win-Win-Win! This cream is perfect for humid spring/summer months. After trying multiple Neutrogena sunscreens and not loving any of them I went on the hunt for a new sunscreen. 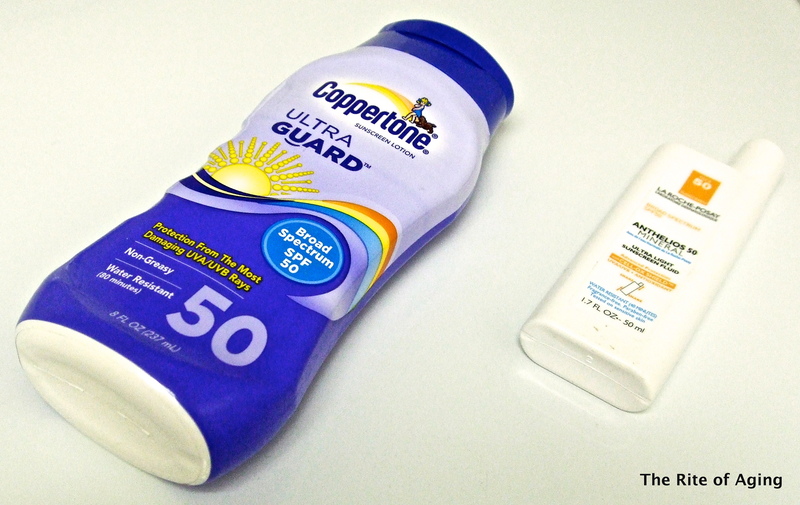 The Coppertone UltraGuard sunscreen is thick but spreads easily over the skin. It does not absorb quickly but it does absorb well. It does not leave a chalky or overtly greasy residue. I continue to use it because it covers evenly and does not completely disappear when wet. The sunscreen smell is barely noticeable so I like wearing it at work! I am a fan of the Melt-In Sunscreen Milk from the same line but it is too greasy for my face. I assumed the face products would be just as greasy until I saw the “Mineral Ultralight” fluid. I hoped it would be on the chalkier side. During the summer I am incredibly acne-prone so I’ll take chalky and ashy over greasy and shiny any day! I was not expecting this product to be so wonderful, though. It is greasy in that sunscreen sort of way but it does not leave a white cast! It does not absorb particularly quickly, due to the physical SPF ingredients, but it does not change the consistency or color of foundation when I wear make-up. There is no fragrance. This brand has been on my radar for a while but I never really took the plunge. I was in the market for a facial exfoliator so I purchased this during the 15% off sale at Sephora and I am so glad I did. Caudalie is quickly making its way to the top of my skincare list. Dare I say it? I may like their products more than my beloved Chanel ones..Blasphemy!! I have three steps to exfoliating. One: I remove my makeup, two: I cleanse my face, three: I exfoliate. This cleanser/exfoliator hybrid is so powerful I can eliminate step two altogether! I am so precise about my skincare that if I can save some time I am all over it. The texture of this cleanser is gritty and rough but smooth. The granules do not tear at my skin but because they are so dense I do not use a lot of product or pressure. The biggest pro is I see immediate results. My skin is clearer, cleaner and softer! When I use other physical exfoliators I see results after a day of “healing”. The only drawback is my skin is a little red the next day. I think this is very strange given I do not usually struggle with flushing. Most times, I do not give into such hyped-up products until the raving is long over and forgotten. However, HSN was having a wonderful sale and I managed to get my paws on the eyeshadow palette and primer for only $30! How could I say no? I always take the hype with a grain of salt since advertising, reimbursement for good reviews and mass hysteria contribute to it. Wow. I cannot even explain how much I love this palette. First off, let’s talk smell. Yes, these eye shadows are fragranced. Like chocolate. And, the smell translates to the lids! I smell like a chocolate bar. How cool is that??? Okay, other than that…these shadows are good quality. The color payoff is amazing with one swipe of a brush. There is more fall out during application but this is not a problem since I apply face makeup after I am done with my eyes. Fallout only concerns me if it occurs during the day and guess what? There is none! The shadows do not smudge or shift, even in high humidity. The best part of all? I use every single color. In both the Urban Decay and Lorac palette (favorites review linked here) there are a few colors I never use. 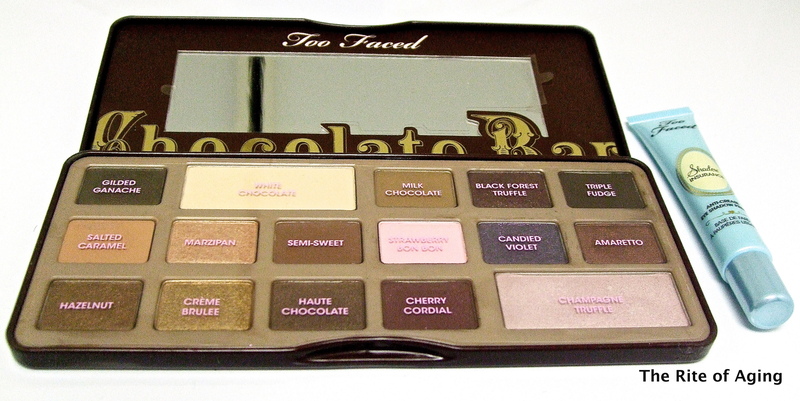 And when I compare the Too Faced palette, on other counts, everything just seems better: the quality, the colors, the names, the packaging, all of it. This palette kicked my UD Naked I right out of first place! This came in the set with the above eye palette. I have very oily eyelids so shadow primer is nonnegotiable. I have used my Urban Decay Eyeshadow Primer Potion for as long as I have worn eye makeup. Nothing compared to it so I never used anything else. The texture of the Too Faced primer is so much lighter than the Urban Decay’s Original primer potion. The slip is greater and it dries less quickly so it is easier to apply evenly to the lid in one go. I realize I use more UD primer than necessary just because it dries so fast and I don’t always get a chance to apply it properly. I do not have this same problem with Shadow Insurance. The icing on the cake is my eyeshadow does not crease even after a long, hot shower! No joke. This stuff is AH-MAZING. That’s all for this month! Have you tried any of these products? What do you think of them?